Comparing LED Lights to Other Grow Lights - Are They Really Better? Until relatively recently LED lights simply weren’t an option for indoor grow operations. 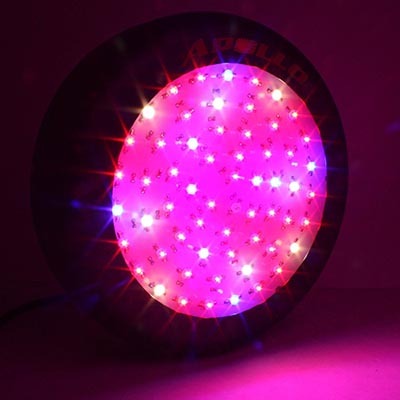 They’ve been around a long time as red LED lights have been used in televisions for many years now, but they were never thought of as an alternative for indoor grow lighting. The reason they weren’t considered for indoor grow lighting was because red light isn’t a good enough light source for all stages of the plant growth cycle by itself and LED lights weren’t really available in other colors. Once scientists learned how to create LED lights in colors other than red it became much more practical to use them for indoor grow lights. These days LED lights are becoming more and more common in indoor grow operations and they do have quite a few advantages. In general they operate quite coolly and they’re energy efficient, which makes them ideal for growing purposes. The question is, how do they compare against other indoor light alternatives? On the whole they compare quite favorably and we take a closer look at that below. Incandescent bulbs are the traditional light bulbs that have been around now for many decades. At one time you would’ve found them in every single home in North America, as well as right across the globe, because they were easy to make and could be produced quite cheaply. The problem was they were also highly inefficient and cost you a lot more on energy bills in the long run. You could use this type of bulb in an indoor growing operation, but you would produce a lot of waste in the process and the amount of heat generated would be quite excessive. It’s generally agreed that these really aren’t your best choice for growing plants. LED lights beat this type of light hands down when it comes to energy efficiency and the amount of heat produced. In the past, fluorescent lights weren’t of much use for growing plants indoors due to their limited brightness – they simply didn’t put out enough lumens to be beneficial in growing plants. Recent advances in fluorescent light technology has produced bulbs called T5’s which are much more efficient than their florescent forefathers, and they can be quite useful as an alternative for growing plants indoors. They’re certainly comparable to HID’s in the useful light they produce and they also produce less heat than these HID systems, but they still produce quite a bit more heat than LED lights. Granted, LED lights will likely be a little bit more expensive than T5 fluorescents, but LEDs also last a lot longer. Perhaps the most popular type of lighting for indoor grow operations has been the high intensity discharge light, or HID light for short. There are different types of lights that are classed in this category, including high-pressure sodium and metal halide. The one thing they all have in common is that they’re much more efficient than traditional indoor grow lights – they just aren’t more efficient than LED lights. They still give off a fair bit more heat than LED lights and they do require expensive cooling systems to be put in place. They also have a lot shorter shelf life at about 10,000 hours; in comparison LED lights with the shortest lifespan are built to last about 50,000 hours. Granted, LED lights may be a little bit more expensive, but when you consider how energy-efficient they are and how long they last you have to think they’re probably worth the cost difference. The bottom line is that LED lights have advantages over any other type of indoor lighting system you can think of. They’re extremely energy efficient and they produce the desired amount of light while giving off a lot less heat than other lighting sources. They will cost you a little more up front, but you’ll save a lot of money on your energy bills and you won’t have to install expensive cooling systems as these lights never get very hot. In the long term I think we’re likely to see LED lights adopted by almost all indoor grow operations, which is good news for our pocket books and the environment.